A cheat is cashing in on the Strip, where deadly schemes lurk beneath the glitz and glamour. 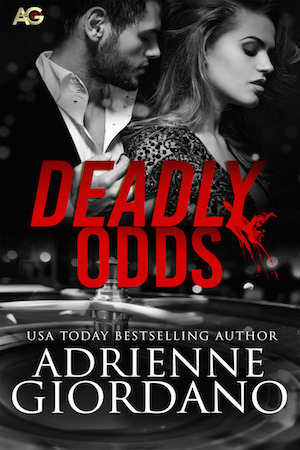 FBI agent-turned-consultant Kate Daniels hits the jackpot with her new assignment, hired by Vegas’ biggest name to ensure his casino isn’t a target. Fortuna is a high roller’s paradise, all gleaming marble and dollar signs. Even a single flaw in security could cost big bucks. Kate can’t afford distractions. Especially the tall, dark and perfectly chiseled kind. Business and pleasure don’t mix. And sleeping with the boss is a dangerous gamble. Fortuna’s VP of casino operations, Ross Cooper, is gaming’s golden boy. He’s got a head for business, an eye for beautiful women, and a love for the Vegas lifestyle. When he spots a gorgeous redhead casing his blackjack tables, Ross is more than a little intrigued—he’s suspicious. But Kate is no thief…she’s working for him? Ross hates surprises almost as much as the idea of trouble in his casino. Kate quickly proves she’s more than a pretty face. Her instincts and smarts are just as enticing. And when her investigation turns deadly, Ross will risk it all to keep her by his side.